Robert Poole (left), director of transportation policy at Reason Foundation, shares his views on the Trump administration’s new infrastructure ideas. 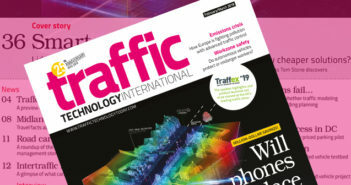 This is an extract from the latest edition of the Surface Transportation Newsletter, which you can read in full and subscribe to at the end of this article. Well before the plan’s February 12th release, many seemed to have made up their minds that it was a scam or a delusion. Many Democrats in Congress have called for US$1 trillion of new federal spending, without a thought about where that enormous sum would come from. Others were outraged that one of the programs in the bill would provide only 20% funding, with the rest having to come from state, local, and/or private sources. Another criticism was the plan’s approach to funding the planned US$200 billion federal expenditures over 10 years: not by either raising tax rates or further borrowing but by eliminating ineffective federal programs. Let’s take the last point first. The FY 2018 budget for federal discretionary spending (excluding entitlements) is US$1.2 trillion. US$200 billion over a decade averages US$20 billion per year. That is 1.67% of the annual budget that includes national defense and all domestic programs other than entitlements. It’s absurd to imagine that somewhere in that US$1.2 trillion there are not some items that are outdated, or have been shown to be ineffective, or are inherently state or local in nature, not federal. It’s a basic principle of good government to periodically review all the things it is doing, assess the benefits versus cost of each, and weed out those that are not delivering value for money. The White House should be commended for proposing this, not condemned. Secondly, some politicians and popular media have portrayed the Incentives Initiative as if it were reversing the historic 80/20 federal/state funding split. But as White House infrastructure maven D. J. Gribbin has explained, all the existing transportation formula programs are unchanged. The Incentives Initiative is in addition to those long-standing programs, and it’s intended to draw on innovative financing in an effort to leverage the federal dollars. And to make good on that premise, the White House plan would significantly expand the federal programs that assist such leveraging: private activity bonds, TIFIA, RRIF, and WIFIA. The White House’s more nuanced approach is not intended as a massive “stimulus” program, which is not what America needs. What we do need is much better targeting of investment to infrastructure projects that deliver better value for money. Both the Incentives Initiative and the Transformative Projects Program are aimed at this kind of project. And the former, in particular, is aimed at expanding the use of long-term public-private partnerships (P3s), for which hundreds of billions in private equity capital is interested and available. This money resides in for-profit infrastructure investment funds and in nonprofit public employee pension funds. Both are already investing in P3 infrastructure in Europe, Latin America, and the Asia/Pacific region, but very little here in the land of free enterprise. What they lack is a “pipeline of P3 projects.” To the extent that states are unwilling to provide 80% of the funding for major infrastructure improvements, they will be motivated to offer such projects as long-term P3s – as pioneer states such as Colorado, Florida, Indiana, Texas, and Virginia have been doing. The White House plan also includes policy changes that will make it easier for projects to be offered as revenue-risk P3s. This includes making tax-exempt private activity bonds more widely available for such projects, removing the outdated federal ban on toll-financing the reconstruction and modernization of aging Interstate highways, and potentially allowing such revenue-based P3 projects to replace and modernize the aging locks and dams on the Inland Waterway System. That plus meaningful streamlining of the permitting process should open the door for significant new investment in American infrastructure. Robert Poole is director of transportation policy and Searle Freedom Trust Transportation Fellow at Reason Foundation. Poole, an MIT-trained engineer, has advised the Ronald Reagan, the George H.W. Bush, the Clinton, and the George W. Bush administrations.